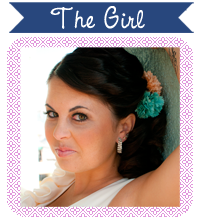 I'm so glad that I was able to guest post today for Join the Gossip! If you don't know me - I blog over at a little place called Krystal's Kitsch. I talk shopping, life, marriage, puppies and sales. I'm all over the map! Leeann talks fashion a lot, so I wanted to make a post showing some of my New Year's Eve inspiration looks. I'm really into blush pink and sparkles right now. I'm longing for something that is girly and glittery to ring in the New Year. Both of these dresses are in the current line at Forever 21 -- so they are accessible. I just need to bite the bullet and purchase them. I'm leaning more toward the second dress as it looks more flattering with my body type - but we shall see. I'm hoping that if I order something online from F21 that it would make it by December 31st since holiday shipping can be delayed. And, if one of those dresses is an option... I would need some sparkles on my nails and feet. I wouldn't wear flats on New Year's, but aren't these darling? They're Nine West that I purchased forever ago. They're sparkly, a mix of gold details with silver, and already worn in. I think these would be a great match! Have you picked out your New Year's outfit yet? i think new years eve is the perfect occasion for sparkles out of any! Does dress #2 come in maternity sizes?? I love it, haha! How much fun! The 2nd dress is really cute! Man I wish I had more style, all of those are awesome! Aaaaah! I LOVE both dresses! I also love shoes 4 and 6 and that polish is awesome! Great post, you’re going to look so cute! all of the shoes are..amazing! I love your shoes. I haven't picked out my NYE outfit yet, but Forever 21 definitely has some cute things to choose from. Oh wow, I am just loving your looks! Wonderful! Loving those dresses! And the shoes are too fun! I think you should definitely wear your wedding shoes, and I like both of those dresses. This glitter nail polish biz is awesome, but I'm telling you've I've had a time getting it off a few times and I'm about to get really frustrated with it. I ordered my NYE look yesterday from Express. They had 30% off and then $25 off $100, so I ended up getting a $130 dress for $80 along with a pair of black opaque tights I've been meaning to buy anyways. I think you could probably beat that, but I was happy with myself. Fun! I'm not sure what I'm doing for New Years Eve, so I don't know what I'll be wearing. Depends if we go out for a big night on the town, or stay in with champagne and board games. Either way, I love glitter & sparkle! Too cute! I love that first dress. I just know that whatever I wear, it's going to be amazing and sparkly! I'm very boring and haven't been out on New Year's Eve in years. If I were going out, I'd certainly wear a cute dress like one of the ones you posted from Forever 21. Blush and ruffles are always a good combo. The flats you posted with the bows are adorable too! 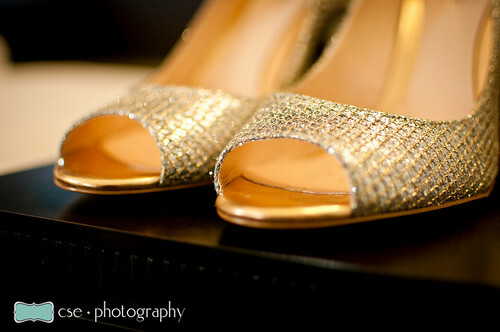 Is there anything better than sparkly shoes? I think not! I've got a few outfits to choose from but I think I'm leaning towards my lace shorts and a sparkly top. I love love those flats with a bow and both of the ruffled dresses are adorable!